I still remember the first time I posted an OLX advertisement in 2014. Back then, I don’t know what to write about the service that I offer. I don’t know how to craft a catchy content for my resume writing service and I barely included an image for my advertisement. Well as years passed by and as the website of OLX improved, I also learned many things for the 3 years that I have been using OLX to earn part-time gigs and sell my stuff online. Let me share with you the things that I learned while using OLX but before we start, let’s start what OLX is — for those of you who do not know. OnLine eXchange, popularly known as OLX is a wide online marketplace to buy and sell goods online. It is the leading classifieds platform in the Philippines, India, Brazil, Pakistan and Poland (just to name a few country) which serves a very versatile online marketplace for users to buy or sell products. It was founded in 2006 in Buenos Aires and New York. In 2010, it bought Sulit.com.ph (a popular online marketplace in the Philippines) and since then, OLX expanded to 45 countries. By 2016, it has more than 1.7 billion monthly visitors. OLX’s website user interface is very straightforward. You only need a Facebook account and a mobile number to start selling your stuff. So are you ready to create an effective OLX advertisement? Let’s get started. You may use your Facebook or Google Account to Register or you can click Register a new account at the bottom if you prefer to create a new account. Just follow the instructions and you can now start selling your stuff online. If you are looking for a detailed instruction on how to sell your items on OLX, feel free to visit wikiHow’s step-by-step instruction. So now, moving forward, let us dig into creating an effective OLX advertisement. What does effective advertisement mean? In layman’s term, an effective advertisement is an advertisement that attracts many potential buyers and converts them into buying customers. Use your real name. Have you ever heard the line “Anonymity is dead”? It is indeed. Let your potential buyers know who you are — the seller. Are you someone who they can trust? Be open with your social media profile and if possible, let them know why you are selling the product or service. In this way, you are giving them a proof that you are a reliable seller. If you don’t give your buyers a reason to trust you, why would they buy from you? Your OLX advertisement’s headline is only limited to 70 characters, while your description is limited to 700 characters. Make sure to make the most of your limited space. OLX’s search engine has very much improved. Way back in 2014, having your advertisement show up in search results will take time, usually 1-2 days. But now, as soon as your advertisement is approved, it will automatically show up in search results. To use this to your advantage, what you need to do, is to incorporate keywords related to what you are selling. For example, way back in early 2014 (when I still don’t have a website), I created an advertisement about my resume service. So, before creating an advertisement here’s what I did. I researched keywords about the most used word or phrase every time someone does a Google search for resume writers. You can do your keyword research using Google Adwords’s Keyword Planner or just look at the related search terms in Google’s search results. Remember that OLX is also being crawled by Google’s search engine so this is basically a win-win situation for your advertisement. 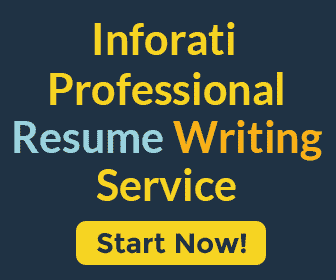 Based on my research on 2014, I discovered that customers looking for resume writers, usually type ‘resume service’, ‘resume writing service’, and ‘curriculum vitae’ as the main queries in their search. So based on my findings, the headline that I used is “Resume Service, Curriculum Vitae, and Cover Letter Writing”. And on the content, I have incorporated the phrase “resume service” 3 times in order for my advertisement to show up every time someone makes a search of resume service on OLX’s search engine. Of course, you need to craft an engaging content and your keywords should suit the content naturally. It will feel forced if you crunch your keywords without connecting it with your content. Also, you need to focus on the message that you want the potential buyer to know. Like for instance, the features, advantages and the benefits that your buyers will get from the product. Oh and another thing that you can do is to frequently update your advertisement in order for it to be on top of search results. This technique is very helpful especially if you have many competitors selling the same product or service. You can post up to 12 images of your product for your advertisement. As the main consideration, make sure that the images that you upload are in high quality. If possible, upload your image in a portable network graphics (PNG) format or the highest JPEG quality that you can have. This is because OLX will compress the image, therefore, decreasing the resolution and making the image pixelated. After compression, an OLX advertisement image will have a height of 644 px and a width of 346 px. Is your content complete and not missing any points? Make sure to include the specifications of your item especially if you are selling a gadget. For example, if you are selling a laptop, PC, or cellphone, make sure to indicate the brand, model, RAM, memory capacity, etc. of the gadget. Price – You may make your price higher than how much you usually sell it for. This is because customers will always find a way to ask for a discount (Believe me, I have also asked for a discount as a buyer). On the other hand, if it is a service, provide a specific rate. You can also ask yourself: Is this detailed enough? Does your advertisement answer the questions that a potential buyer may ask? Is your item second hand or brand new? Let your buyers know. This will save you and your buyer some time (and probably cellphone load). Do your research. Find out what works with your competitor’s advertisement. What makes it effective? Can you improve and apply it to your ad? As a final note, OLX is constantly updating its user interface. So as a seller, make sure to keep track of the website’s newly added features. That’s pretty much it folks. Good luck and happy selling!